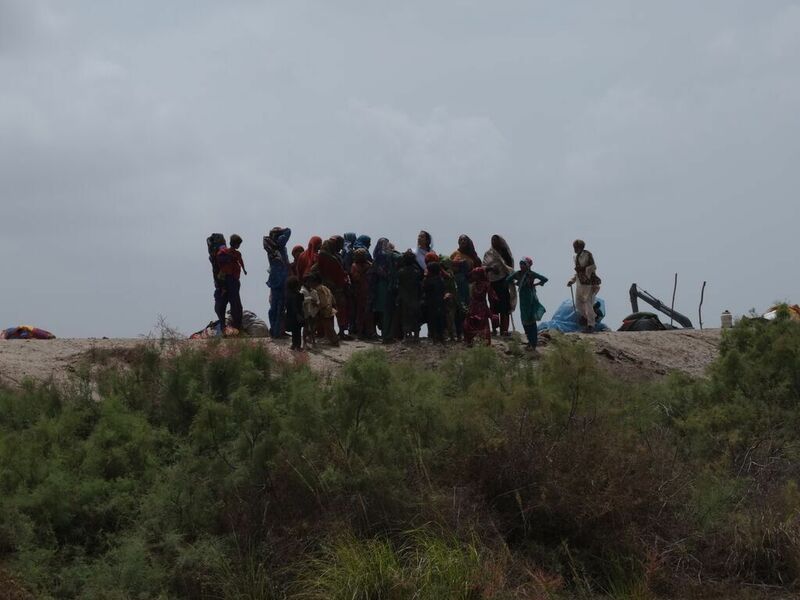 Village organization planning emergency evacuation as part of a DRR training in Thatta. 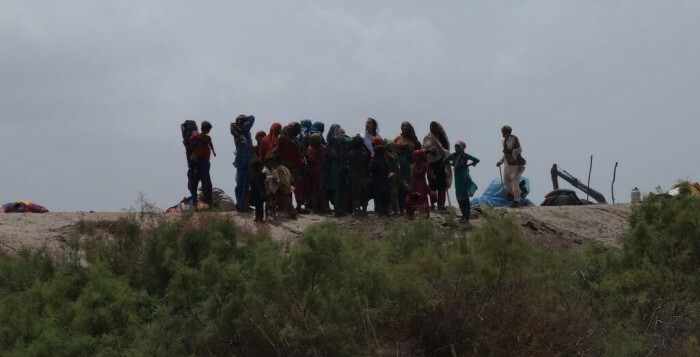 Heavy rains have been severely affecting communities in Union Council Bijora, District Thatta, in the Sindh province of Pakistan. Community World Service Asia has been present in the area since the devastating flooding in 2010, and continues to run health and livelihoods projects. As part of an initiative funded by Christian Aid, Community World Service Asia is supporting the livelihoods of community members through vocational training and literacy classes for women, and community mobilization for disaster preparedness. Thatta is an extremely flood-prone area, and flooding presents a serious hazard to the wellbeing and livelihoods of the local population. The destruction of crops, livestock and property results in significant losses and lead to the accumulation of debt and continuing poverty for already vulnerable households. The recent monsoon rains have left 25 to 35 families homeless, rendered pathways between villages inaccessible and heavily impacted the earnings of people who rely on agricultural labor for their wages. A lack of safe drinking water has also caused illnesses such as vomiting and diarrhea, which are particularly dangerous for young children, and especially so in a situation of food insecurity when many children are already malnourished. Since 2013, Community World Service Asia has been conducting disaster risk reduction (DRR) trainings for community members and establishing village organizations to mobilize the community and facilitate them in disaster preparedness. These organizations have undertaken a variety of key DRR initiatives, including the establishment of a community-based early warning system, based on regular and close monitoring of radio reports, hazard assessments and regular coordination and communication throughout the community. They have conducted evacuation drills and have formed Emergency Rescue Teams to be ready for, and activated in, an emergency situation. This value of this preparation became clear when the heavy rainfall began to affect the area, as the village organizations and community members promptly began coordination and activated the rescue teams to evacuate villagers to safety on the high ground of the embankment. The village organizations are also coordinating with local authorities, utilizing the contacts that were provided during Community World Service Asia’s trainings. This had resulted in the district coordinator coming to inspect the situation of the village, and the Provincial Disaster Management Authority providing tents to shelter the displaced families. The pro-active response of the community has demonstrated the effectiveness of the training methodologies. More importantly it has shown the importance of empowering the community to take ownership of its preparedness, and engaging the local population in efforts to reduce the risks posed by flooding.